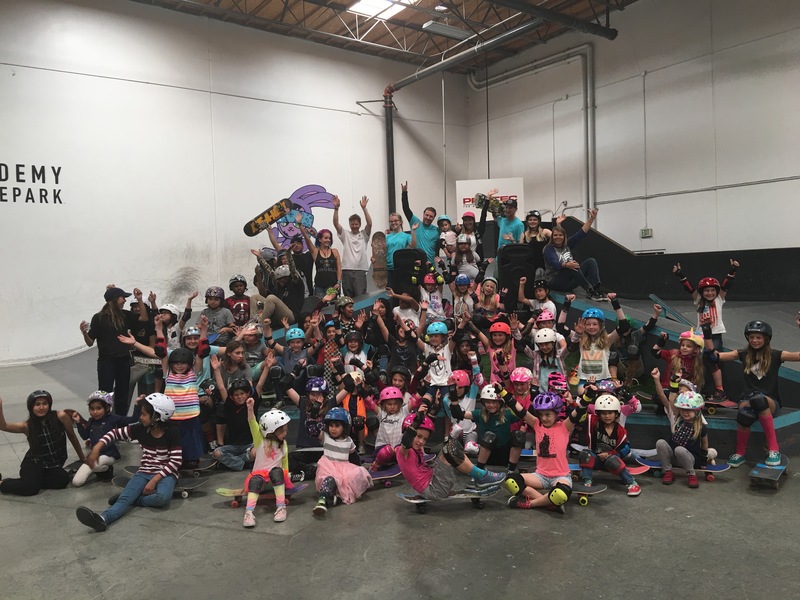 On March 11th, 60+ girls participated in the Skate Rising event at Academy Skate Park in Vista, CA. This month the service project was collecting gently-used or new books for kids ages 8-18. Together the girls collected 200 books. I saw a lot of my favorites from the Diary of a Wimpy Kid series to Twilight Saga in the donation box. As a dyslexic, reading was a struggle for me. Having books that kept my interest and made me want to read was key to my not giving up. Also key was the encouragement I received from others. Encouragement to me is a true act of kindness. Encouragement is giving support, confidence, and hope to someone. 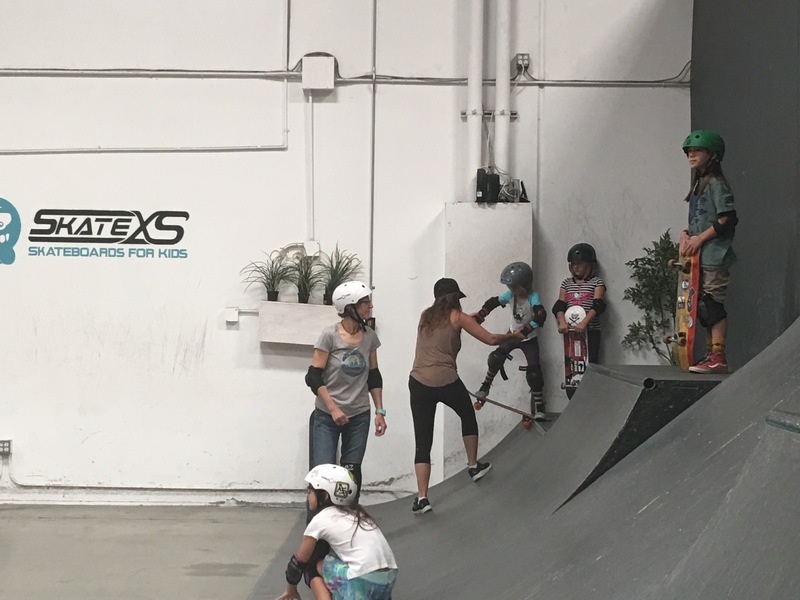 Skate Rising events are filled with encouragement. Whether it’s a girls first time or millionth time, there’s always someone there to encourage her. 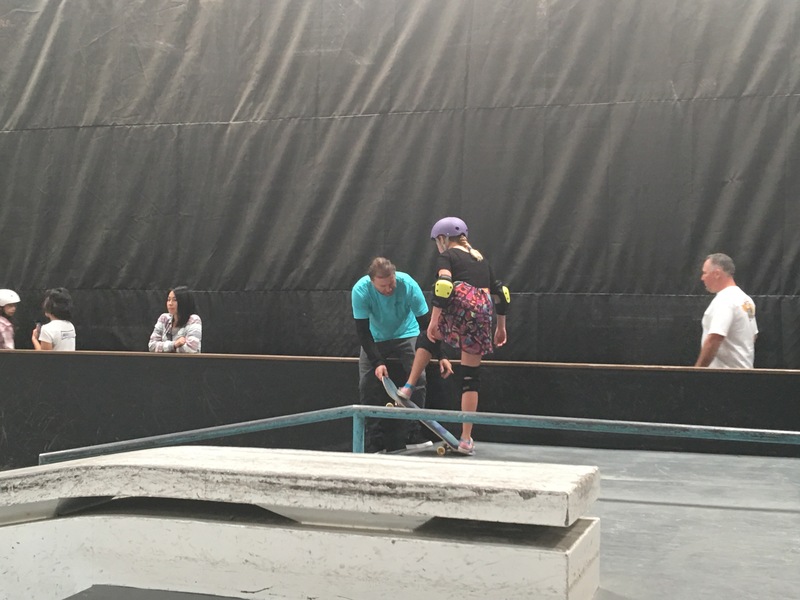 The encouragement comes from Neal Mims, his staff, parents, volunteers, and other skaters. The girls I’ve gotten to know definitely encourage me to keep coming back. 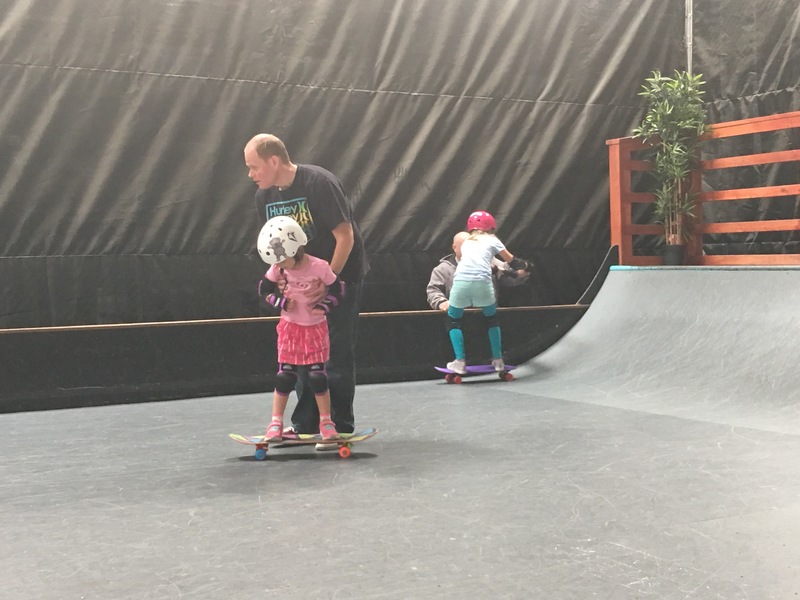 These girls make skateboarding fun while learning they all have the ability to make the world a kinder place. 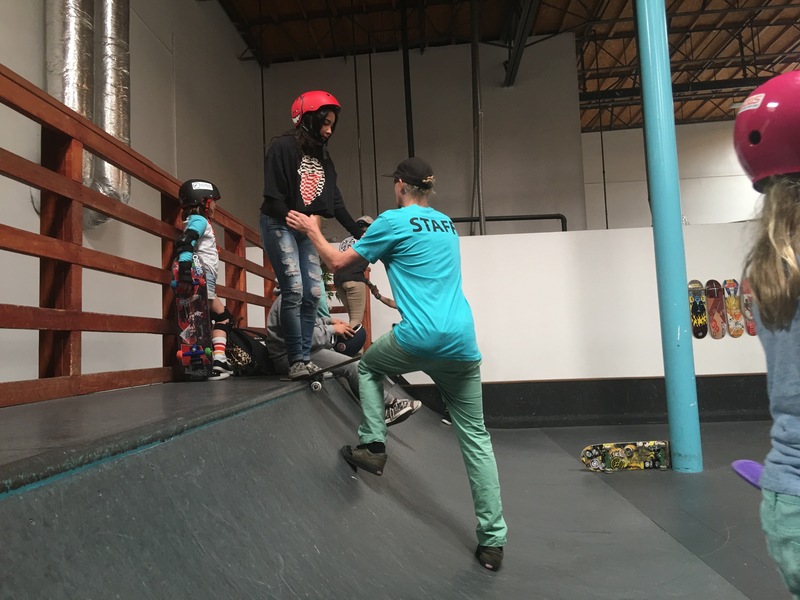 If you’re interested in learning more about Skate Rising, EXPOSURE Skate’s youth program, with monthly events in San Diego (2nd Saturday) and Phoenix (3rd Saturday) area, contact the organizer, Calli Kelsay at calli@exposureskate.org or just come to the next event they are free to attend! 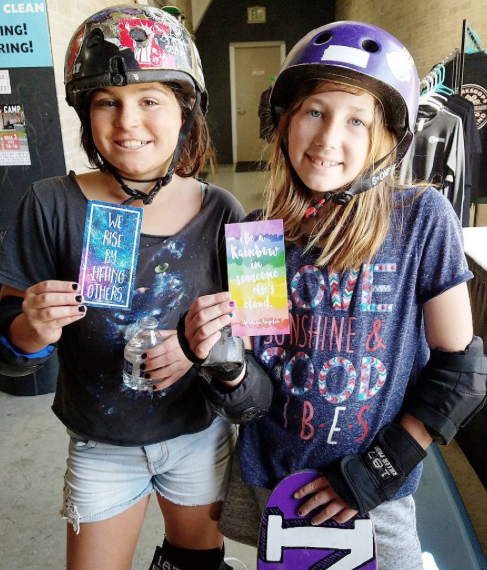 Plus thanks to Nina – the Skate Rising photographer who made each of the girls who attended on Saturday inspirational book marks. Please email me details of the next event. I’d like to bring my 10 year old.